This RC duck decoy simulate natural swimming action and live waterfowl movement. Excellent for windless days, and can also tow additional decoys, for better placement of your spread. 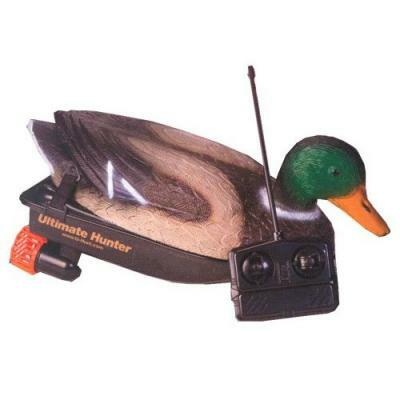 The radio remote controlled decoy has an operating range of 30 yards. Great gift for Duck Hunters.